The 2011 grid for the Avon Tyres British GT Championship is expanding in all directions, not just in the field-leading GT3 category. 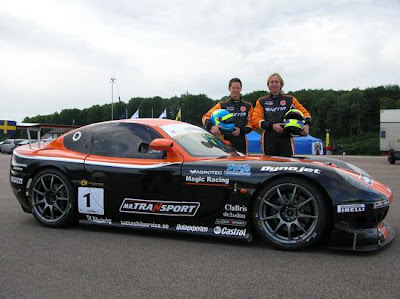 The latest team to announce its participation in the GT Cup class is Swedish squad Magic Racing, which will field a Ginetta G50 in selected events. 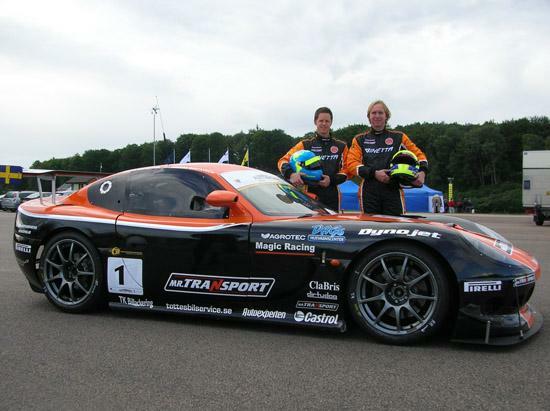 Magic’s driver strength will be led by team principal Björn Gustavson, who will be joined at the Donington Park round of the championship by Ginetta G50 Champion and now BTCC racer Frank Wrathall. Magic plans also to race at the Snetterton, Brands Hatch, Spa and Silverstone meetings and there are plans that Björn’s brother, Anders Gustavson, will co-drive at these events. British GT race-winner Phil Quaife will be their driver coach. The British GT season gets underway on Easter Monday at Oulton Park. The series is sponsored by UK tyre manufacturer Avon Tyres and is further supported by Sunoco Racing Fuels, Anglo American Oil Company and OAMPS.